Singleness is a great blessing that many refuse to embrace. The single phase is encapsulated with a whole lot of benefits that if harnessed, would go a long way to better the life of the one who is blessed with this special gift. You can be a single person and fulfill purpose. Actually, you should. Your life should not grind to a halt just because you are single. This is one big error that some singles fall into and you should not fall into the same pit they have. This book will guide you to avoid the pitfalls. God desires that you live your life in such a way that pleases Him. Man’s original purpose is to worship God. This single phase poses a great opportunity for relationship building with your maker. I am particularly concerned about the hike in the number of troubled marriages. I love the family institution and as such am saddened when I learn about a family on fire. Having taken a very close look at many marriages over the years, I can infer that events prior marriage may have serious effects on the outcome of a marriage. Decisions taken as a single will either make or mar your future. The way you live your life through this crucial phase will, in the long run, determine if you fulfill God’s ultimate purpose for your life or not. The purpose of this book is to provide you with a guide to living a full single life the way it should be. This is imperative because some people move on from being single while others don’t. Whichever group you fall in, you need the wisdom in this inspiring book. Singleness is a constant for everyone though the duration may vary from one person to another. The contents will help shape your life and sharpen your horizon as a single man or lady. 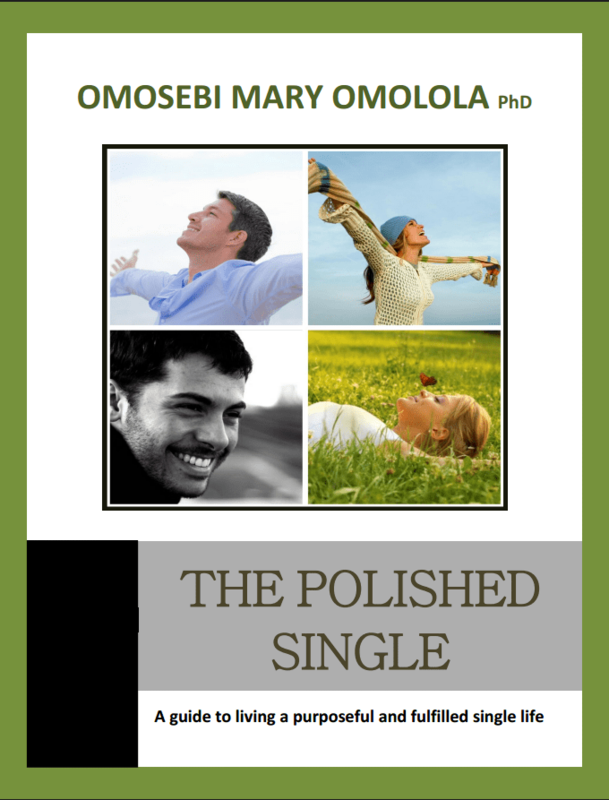 This book will inspire you to ensure that you maximize your singleness. It is my desire that you enjoy a wonderful single life. . .